The Alfa Romeo Giulia Quadrifoglio is one of the best handling cars I’ve driven in the last year. I’ve yet to drive the Giulia’s crossover cousin, the Stelvio Quadrifoglio, but word on the street is that it’s no slouch as SUVs go. 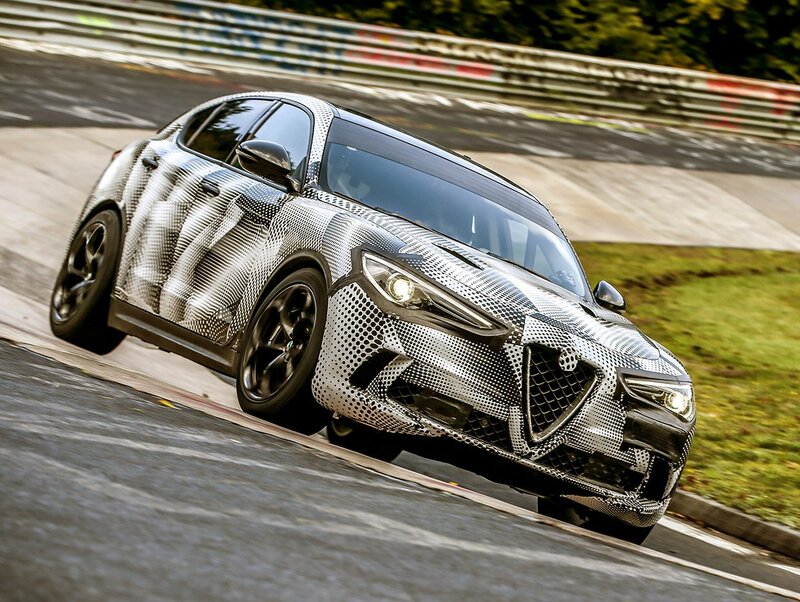 To further prove the abilities of the Stelvio, Alfa recently took the yet to be released 505 horsepower Stelvio Quadrifoglio to the Nürburgring Nordschleife to see how fast they could push it around the track. Sure, it’s at full minute slower than the blistering fast 6:47.25 record set by the Porsche 911 GT2 RS just recently, but for an SUV it’s an impressive time, besting the times set by many sports cars in the past 10 years. Just think, this SUV was faster around the ring than a Lamborghini Gallardo LP 560-4 and Mercedes SLR McLaren were less than a decade ago, as well as more recent cars like the 2014 BMW M4 and Aston Martin V12 Vantage S.